This week on Real Estate Talk, Will Hampson from MyAuctioneer.com.au shares his thoughts about the silent auction. Let’s find out from the auctioneer of the year, a man who has been heralded as the best auctioneer in Australia, Will Hampson from MyAuctioneer.com.au. Will, thanks for your time. Will: Thanks for having me on. Certainly, whether it’s a silent auction, an online auction, a live auction, and/or a Dutch auction, auctions have been used very effectively across the marketplace at the moment across Australia. Particularly in the major markets in Sydney and Melbourne, we’re seeing a prolific increase in the amount of properties going to auction and competition for buyers wanting to buy property, and naturally with competition, auctions are very good way to list and sell property. It’s very transparent when we have a live auction – for the buyers and the investors out there that are looking to purchase at auctions – certainly being prepared, doing their research, looking at the properties that are available is very important in the current market. Attending other auctions, going to auctions, and visiting a number of auctions before you go and bid on the auction you’re going to compete for is a very good thing to do. Kevin: Just in answer to Eshantha’s question about how to maximize their opportunity, what would be your advice there? Will: There are a few different strategies that buyers use. One is big and bold – coming in strong if you’ve researched the market and you know where the property sits and what you’re prepared to pay for it, taking out a number of the competitive buyers there. For example, if you had an apartment that every day of the week you would be happy to pay $800,000 for it, and there might be a number of buyers in the $700,000s, buyers looking in the early to mid-sevens, if you put that bold bid of $800,000 in, and say there were ten registered parties, that might take six of the other buyers out of the bidding, which then takes them completely out of it. It doesn’t allow momentum to build in the auction by putting in a big strong bold bid. The other strategy is to come in right at the end. When the auction’s petered out and right towards the end of the bidding when another buyer thinks they have got the property, come in right at the end. That can be a little bit risky, because buyers in that the momentum is already built, and sometimes it can be hard for them to get in and/or you don’t want to leave those bids too late because once the hammer falls, the property is sold. Kevin: Yeah. Talk your strategy through. Who would you talk it through before the event? You wouldn’t discuss with the auctioneer I’d imagine. Will: You could. The auctioneer is like Switzerland, neutral to the process. But you could talk it through with the agent. They would give you advice on a bidding strategy. They want to help you secure that property, and they want to help you buy, particularly if you are a changeover seller and you have a property to sell on the other side. Also, one of the other strategies I’ve seen recently is the phone bidding, having a third party bid on your behalf. You might have a professional investor on the phone, which removes you a little bit from the pressure, having somebody by your side doing the bidding for you who’s a seasoned property investor. The third one in there would be to put in a bid at an odd increment. I could be digging a hole for myself here, Kevin. Bid an odd increment and then increase on that bid with another odd increment. For example, “$825,500, Mr. Auctioneer. No, I’ll increase that bid to $832,650.” It just throws the buyers off, and can throw the auctioneer, too. Kevin: You mentioned there about having someone to hold your hand. I’ve seen a lot of bidders who are not really sure about the process actually get buyers’ agents to act on their act. We’re seeing that more and more, as well. Will: Yeah, there has been an increase in the buyers’ agents, particularly for the young buyers who are struggling to get into the market. I spoke to one buyers’ agent recently. He said, “we’re getting about four young first-home buyers a week coming into our office wanting help to secure their property, because they’re missing out,” and having that season experienced specialist help them secure their property. 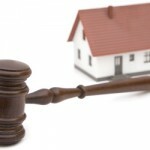 Some of those buyers, as well, are trying to negotiate out prior to the auction to take it away from competition, but a lot of vendors are choosing to run to auction in the current market knowing there will be competition for the property. Kevin: Always good talking to you, Will Hampson from MyAuctioneer.com.au, auctioneer of the year. Thanks for your time. Will: Thanks very much, Kevin. Absolute pleasure.